As Magento rolled out its new Magento 2 platform in 2015, many of the e-commerce businesses wanted to opt magento 2 migration in order to leverage its state-of-the-art features and the benefits of an early-adopter. With Magento 2, these businesses were able to build powerful and compelling online experiences for their customers resulting in better sales. 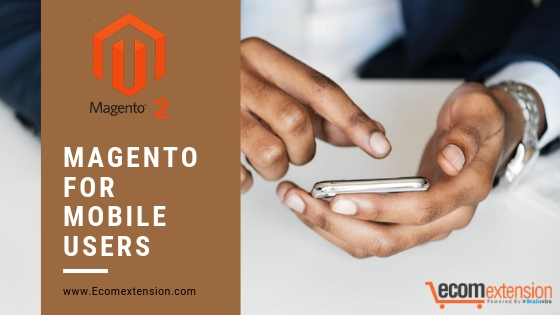 However, there are some businesses who are serving audiences dealing with intermittent cellular connectivity and some low-end devices wanted to enhance the performance of Magento 2 based online store on their mobile devices. First, Optimization of The page to Render Above the Fold Content. Second, Minimize The Page Wait as Much as Possible. Third, Take Time to First Byte (TTFB) Optimization into Consideration. By postponing the loading and execution of the JS code, businesses can make the content on their web page appear faster. It is also known as deferring the parsing of JS code and to do so, businesses have to move all the code to the bottom of the page. The good thing about Magento 2 is that businesses have certain extensions available to do this for them. Critical CSS is a set of stylesheet and is only a portion of webshop’s CSS used to render the visible content. Business should isolate and load critical CSS first to render the above the fold content faster. Although, organizations can find online tools to extract CSS automatically, our Magento 2 developers suggest the companies to compose a set of critical CSS for every page of the website, such as homepage, category, checkout, etc. and inline it into the head section of respective pages. When it comes to the performance and viewing of the e-commerce web page on a mobile device with low bandwidth, the page weight can be a significant factor. But, how can businesses make their web page lighter, keeping every bit of the information intact? Gzip allows the business users to reduce the weight of the web page by 70% along with compressing the external scripts, fonts, CSS, and Java Scripts. All a business has to do is to get in touch with its hosting partner to enable Gzip for its e-store. Organizations can rely on Google PageSpeed Insights, an online tool, to check if Gzip is up and ready for their Magento 2 store. Magento 2 offers a CSS/JS minification feature, which was not available in the initial version of Magento. However, businesses need to know that Magento 2 has three running modes – default, developer, and production. Remember, CSS/JS minification only works on the production mode. Stores > Configuration > Advanced > Developer (this menu is visible only in developer mode). It’s a known fact that e-commerce websites would need to have a huge number of images. So as to maintain the lowest possible page weight, it’s crucial to keep the images compressed and optimized. If budget is not a constraint, a company can sign up with any content delivery network (CDN) as they support image optimization. TTFB is the time a browser needs to wait, before it gets a response from website’s server. The optimal TTFB for a website is around 500 ms. The initial version of Magento offered a built-in full page cache functionality, but carts, checkouts and customer area pages were not able to make the most of it. Therefore, businesses can adopt the following three techniques to optimize server response time. Businesses can ask for a third-party module audit from their Magento 2 developers. As soon as a plug-in is found slow, businesses can either get in touch with the vendors for a patch or switch to an alternative extension. e-commerce companies can dig deeper into the Magento 2 internals to find out the root cause of inefficient server response time. For that businesses can use a ‘profiler’, a special program that provides the time taken for a piece of code to execute. Companies will also need to figure out when to upgrade their hosting plan. Our developers suggest performing a simple test, i.e, install a fresh Magento 2 website on their current server. If the speed of the fresh site is faster than their live site, then they are using the correct plan for their website; all they have to do is just make minor tweaks on their live Magento 2 store. Or else, it’s time for them to move on. Your e-store pages should be served via SSL. Your hosting server should support HTTP/2. Organizations can also do some research to find out which Magento 2 extensions that provide server pushes are suitable for their e-commerce store.